It's been a few weeks since I've done a Tip of the Week feature. We're developing a television pilot at work and that has kept me insanely busy. Regardless, I want to get back to this. My tip this week comes to us from our friends at the Federal Bureau of Investigation who have a warning about a new round of spam attacks. 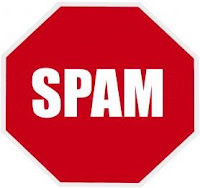 As with previous spam attacks, which have included the names of high-ranking FBI executives and names of various government agencies, a new version misuses the name of the United States Attorney General, Eric Holder. It is imperative consumers guard their personally identifiable information. Providing your information to these spammers will compromise your identity! If you have been a victim of Internet crime, please file a complaint at www.IC3.gov.